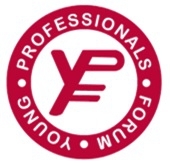 The objective of the BCA Young Professionals program is to foster growth in BCA members' younger employees - 40 and under - by providing education and networking opportunities to expedite advancement in their careers and into positions of leadership within their organizations and in the Association. The YPF program has more than doubled its enrollment over the past seven years with average enrollment over 125 annually. The Young Professionals Committee works to plan and direct programming for the nine monthly YP Forums. Would you like to market your company to this special segment of membership...our industry's emerging leaders? To learn more about available sponsorship opportunities to help expand BCA's programs for young members, E-mail BCA at [email protected].